Credit cards are one of those modern conveniences that are always more trouble than they’re worth. Everyone’s got one, but no one seems very happy about having them. 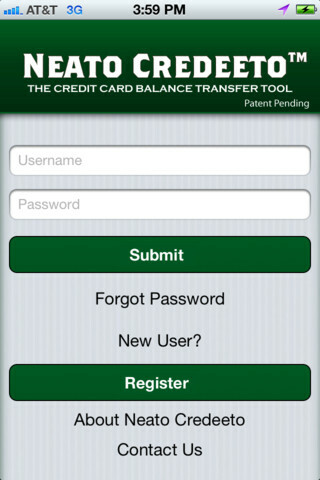 If you’re actively trying to pay down your balances, check outNeato Credeetofor iPhone, developed by Neato Credeeto LLC. 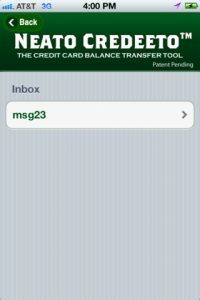 Neato Credeeto is a helpful, easy to use iPhone app that can help you to master your personal finances. What Neato Credeeto offers a unique, patented credit card balance transfer calculator. 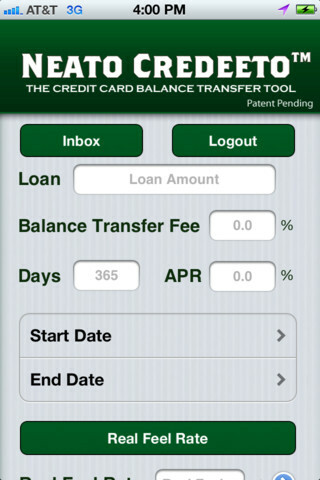 If you want to determine which credit card balance transfer is actually the best option, this handy app saves you the headache of trying to do the calculations on your own. “The Real Feel Rate” is what Neato Credeeto refers to when they present you with “a feel” for what the offer is costing you in terms of a percentage rate. 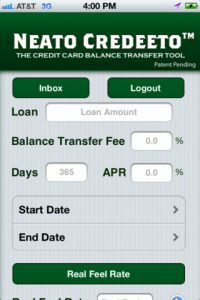 Taking the guesswork out of confusing offers, running any credit card balance transfers through this handy finance app is a must. The design of the app is stripped down, minimal, and very easy to navigate. That’s something you’re sure to appreciate when you’re feverishly tapping numbers into boxes. According to Neato Credeeto, 50+ million Americans are currently crushed under a combined 800+ billion in credit card debt. If you’re one of those people, the handy calculations that the Neato Credeeto iPhone app can do are sure to be a big help in your quest to get those balances down to zero. 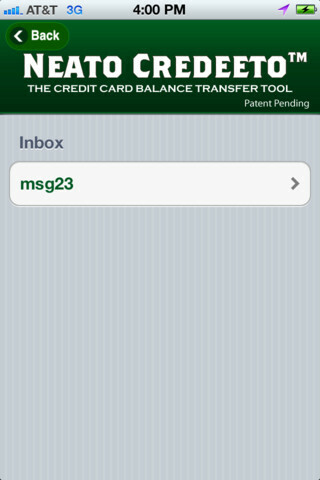 Neato Credeeto is compatible with iPhone, iPod touch, and iPad. Requires iOS 4.0 or later. Check out Neato Credeeto’s official site for more information. 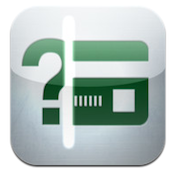 A small expedite fee was paid by the developer to speed up the publication of this iPhone app review.